Drawing a graph intelligently is still a challenging task because the algorithm does not know which drawing algorithm should be applied to which portion of the graph, especially when the graph is complex and applying one single drawing principle is no more suitable. This project aims to investigate which drawing principles can be applied to hand-drawn graphs and try to simulate the same results created by human. 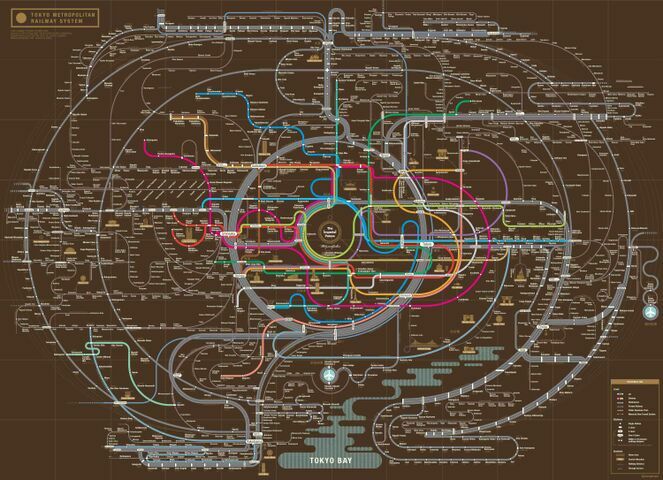 For example, [Tokyo Metro Map 1] and [Tokyo Metro Map 2] are two hand-drawn maps by map designers, an automatic style transfer scheme is expected here to generate different styles of layout like these. The student needs to develop a graph drawing algorithm which can automatically learn features and rules from humans’ hand-drawn results and produce human-like results. First, a web-based interface should be set up for collecting hand-drawn graphs. Based on the input graphs, the algorithm should create specific drawing styles preferred by human. The project should be implemented as a web-based or a stand-alone application. For more information please contact Hsiang-Yun Wu (wu@cg.tuwien.ac.at). Last update by Hsiang-Yun Wu on 17. Jan 2018. Comments to yun (at) cg.tuwien.ac.at.